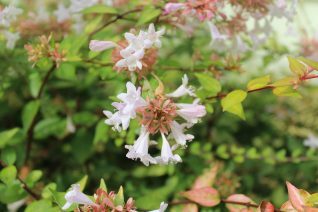 The Oregon Coast is a great place to garden but it has distinct differences from our inland gardens. More than 70″ of rain a year, the modifying influence of the water with less arctic cold and almost no true heat. Most of the coast is Zn8b-Zn9b- we’ve amassed a large collection of plants that thrive on the mild and wild Oregon coast. 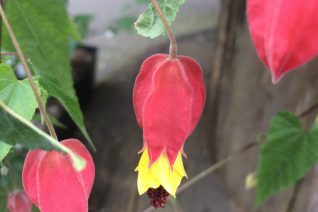 Lantern plant. 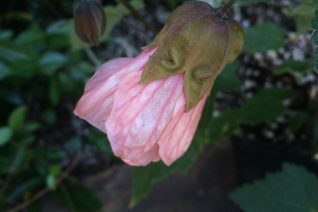 The hardiest flowering Maple by far, sailing through all but our most treacherous winters. Large-growing lax shrub with large red calyxes that contrast with the protruding yellow petals. Masses of flowers appear on new wood from June to frost. To 6′ tall and as wide in full sun to part shade. Plant in a protected spot. Near a wall or within shrubs that can shield the crown. Water winter-damaged plants in the ground very heavily and they will make a surprise re-emergence. Hummingbirds. 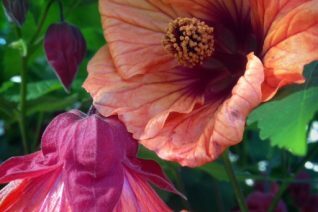 Our selection of a really good pink flowering maple. 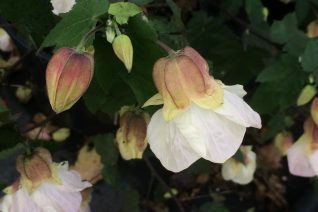 Tubular flowers are the most ethereal soft pink, with almost sparkly silver highlights. 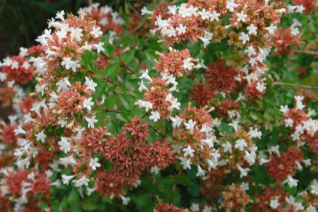 Long-blooming open lax shrub to 4′ tall and as wide in a season. Full sun to part shade. Rich, well drained soil, regular water. Relatively hardy selection. Hummingbirds and JackieOphiles. It’s Camelot in a pot. Heh. 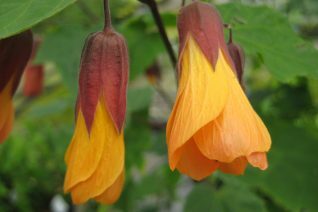 Larger flowers and more of them appear in pendant chains on this strong-growing floriferous flowering maple. To 4′ tall and nearly as wide in a season. A continuous supply of orange/red veined flowers from June to frost. One of the more shade tolerant selections. Regular water and rich soil. Mulch heavily if in the ground. 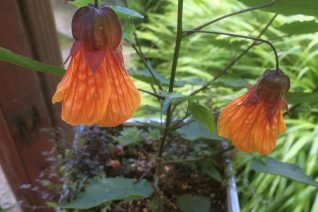 Clean, clear white pendant flowers face outward on a dense-growing upright flowering maple. To 4′ tall by 3′ wild in a season. Bloom is constant on new growth from May to frost. Dark green foliage is a good contrast to the blooms. Rich, moisture-retentive soil with regular summer water. Add a handful of all organic fertilizer at planting time and you’ll be rewarded with a bigger more vigorous plant. Full sun to part shade. Great in containers- big containers. 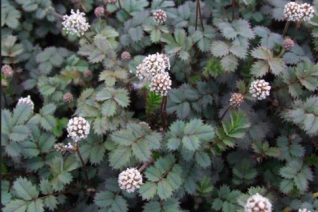 In the ground plant in a very protected location with shrubs or a wall for added protection. Freeze to the ground in the upper teens. Returns from the base with consistent summer water. Hummingbirds. 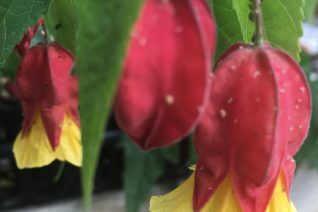 A tender abutilon that is best considered an annual but boy howdy is it one of the best flowering maples that we’ve ever seen. Compact growing to 3′ x 3′ in a season at the largest. Profuse, huge flared pendant flowers are the color of smoked salmon on the interior and a distinctively darker orange on the outside. Its a great effect. Full sun and rich well-drained soil with regular irrigation. Excellent container plant that blooms non-stop with little intervention. Not hardy below about 25ºF.